The Lingenfelter Drag Pac is designed for the drag racing enthusiast that is tired of finishing second! 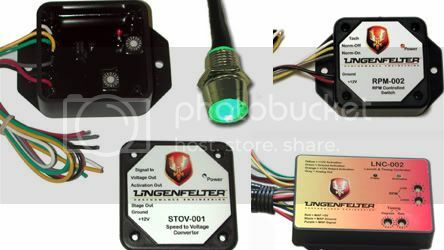 This pac includes the Lingenfelter Launch controller, green LED shift light, Lingenfelter RPM switch and Mile Per Hour Switch. © 2019 21st Century Muscle Cars. All Rights Reserved.